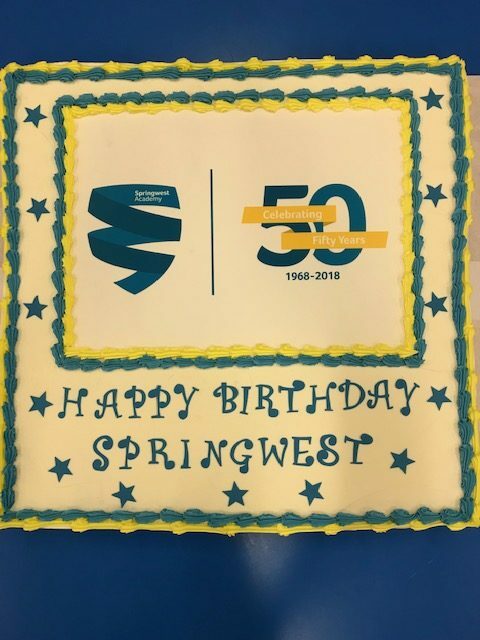 Springwest 50th Birthday Celebrations have begun with all students in the Hall for an Assembly given by Ms Wilson. The assembly looked at the history of the school prior to its birth in September 1968. 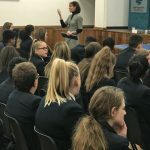 De Brome (Boys Secondary Modern) School and Lafone (Girls Secondary Modern) School, were amalgamated to form Feltham Comprehensive School, known as “The Feltham School” which opened in new buildings on our current site. A member of staff at Springwest joined as a student in Year 7 on the very first day. 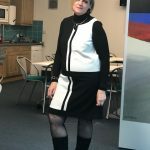 She wrote down her memories of that day and what school was like back in 1968 which Ms Wilson shared with all the students. 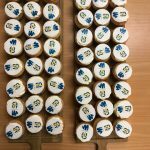 Thanks to our Chair of Governors, Danny Lawson, a huge birthday cake and 700 cupcakes have been baked for the celebration. There is birthday cake for everyone at breaktime. 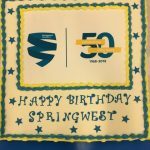 Springwest staff are wearing their best 60s outfits to give students a feel of what it was like. Teachers have planned lessons to reflect the curriculum and style of learning of the time; very different from today with a lot of copying down from the blackboard in silence.